I'm sure you find comfort in the tactile experience of actually touching the flag. I forgot it was Flag Day, too. Thanks for reminder! 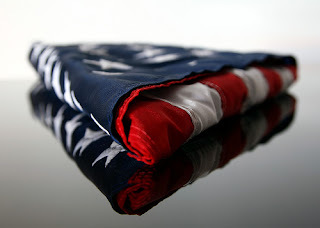 I KNOW YOUR GRANDFATHER IS MIGHTY PROUD OF YOUR COMMENT REGARDING HIS FLAG IN TODAYS BLOG. AND SO AM I, OF YOU. Really special that you have your Grampa’s American Flag. I hope I don't ever get one of those folded flags. Sigh. 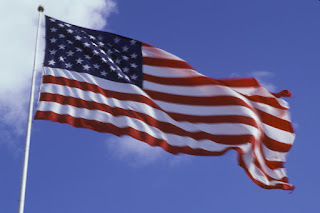 I can't believe I forgot Flag Day. My mother has dad's flag....I wonder what she's done with it. Hang tight to the special one given to you my dear. Oh crap! Your dad was here? Oh hello Daddy V! JULIE: Make sure it does not get put in a drawer somewhere my friend... It should be in a place of honor. Yuppers..Dad made his presence known.